Let me start by saying I bought this yarn myself (actually this is the third super-huge skein) and I am not being compensated in any way to write this. I just use this yarn ALL THE TIME and wanted to share this awesome find with you! I found it in the baby yarn section, so if you aren’t specifically working on a baby project – you may not discover it. Now let me share why you should look for it. 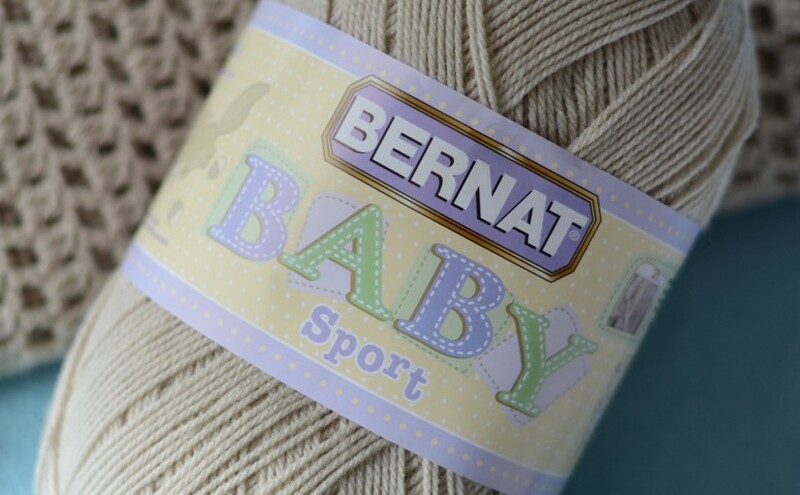 The Bernat Baby Sport yarn is soft, lightweight and this “Baby Taupe” color is a very versatile neutral for babies and adults. It is great to make baby accessories and is valuable to have on hand for a variety of projects when inspiration strikes! It is sold in an “economical big ball” size weighing in at 350g / 12.3 oz, 1148 meters / 1256 yards. That amount of yarn will make many small projects (hats, booties, baby toys, gift card holders, infinity scarves, mittens, fingerless mitts) or even an entire larger project. 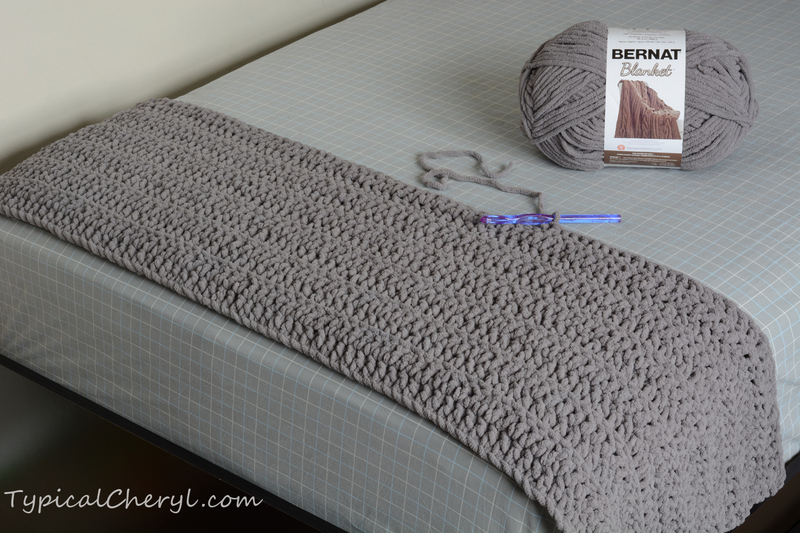 For example, I completed a baby blanket with one skein… That is how I found – and fell in love with – this yarn. It is also easy to care for because it is machine wash and dryable, 100% acrylic. It works very well to make baby accessories for expecting moms, especially when the gender will be a surprise. It is a light-colored neutral color that won’t stain as easily as white or cream colors and it will still coordinate with most nursery color schemes. It’s also a nice for something a little different from the more common syrupy-sweet pastels. It still looks great with more traditional baby pink, blue and yellow too. As a sport weight (3 gauge) the strand is thinner than more common worsted weight (4). The weight of this yarn is very similar to Caron Simply Soft yarns, but it does not have the shiny sheen. If you want to work a pattern intended for that yarn with more of a matte-looking yarn – this is it. However if you are working with a pattern that calls for worsted weight yarn, it will turn out smaller with this yarn. You could use that to your advantage if (for example) you want to make a hat smaller than the pattern. 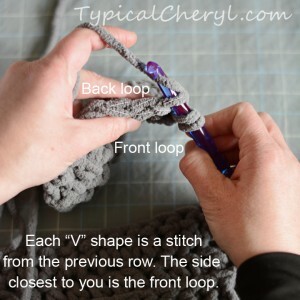 Just use this yarn and a smaller hook. It will probably take some experimenting to get the sizing exactly as you want too. Another advantage is that with fabrics made with this yarn will be lighter and will have more motion, flow or a softer drape compared with worsted weight. This is great for lacey patterns or wraps and light scarves yet the material and color give it a casual touch. The fabric you see in the background is a preview of a lightweight wrap for a woman that can be worn three ways. Also since this color is so versatile it can easily be worn in the spring, on cool summer nights or even in the fall… And yes, it can be made with one skein! 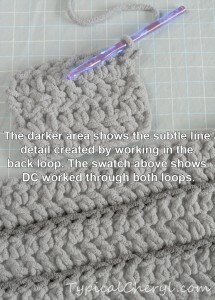 I will be sharing a free, easy crochet pattern for it soon. While you wait, go out and get yourself some of this yarn. The suggested retail price is $9.99, so with one of those 40% off coupons. How can you go wrong? 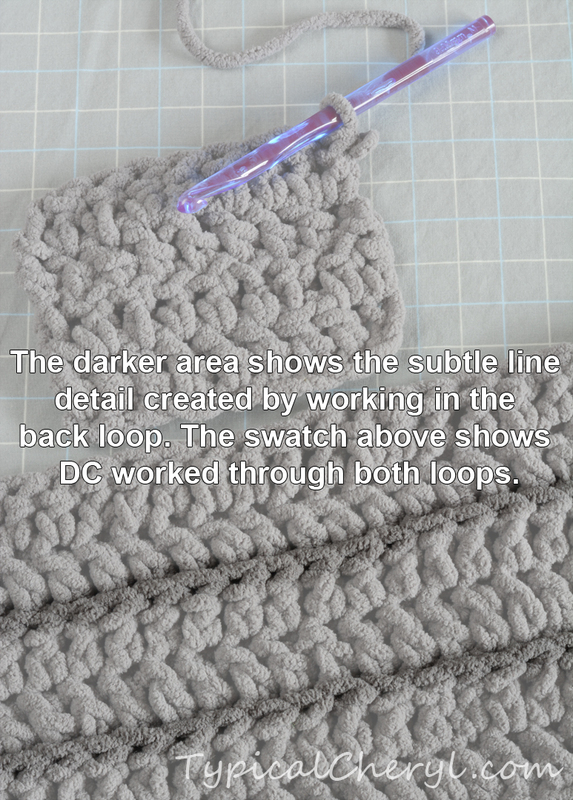 Update: The wrap pattern is now available here. 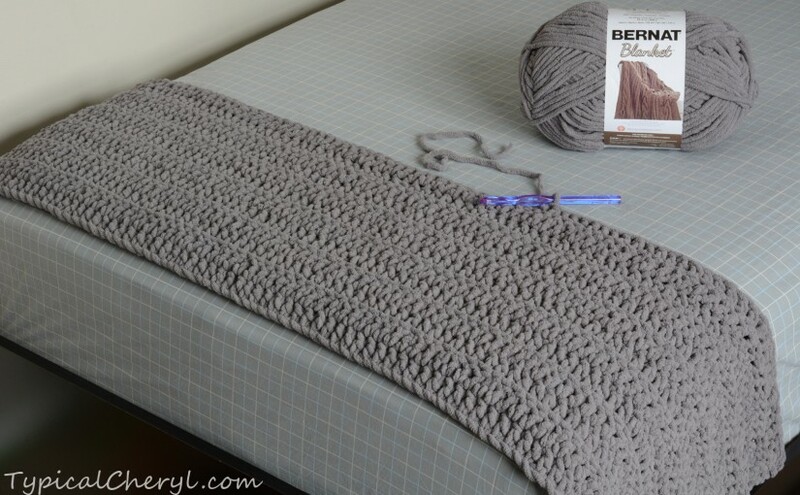 Leave a comment below to show and tell what you are making with this yarn. To receive email updates with tips, tutorials and other freebies as they are released, please sign up here!